On Saturday night we had an intense wind storm that resulted in an all-night power outage - from about 9pm til about 5am - for all of Sharon.) 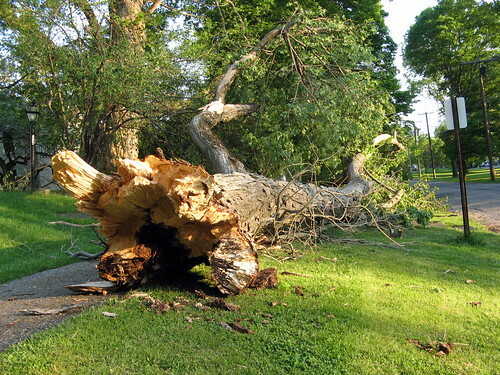 I don't think this gigantic tree was the culprit, but it was impressive lying there along Sharon Green! This picture is even better!